Wheal Jane – The Final Mining Years.Wheal Jane was one of the greatest mines of the huge complex of workings in the Chacewater area of West Cornwall. Worked from the mid-eighteenth century principally for tin – arsenic, copper, silver and zinc were also extracted. Photographer John Peck was asked to record the re-opening of the mine in 1969 for an exhibition. 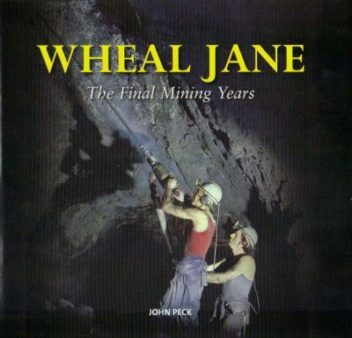 From this time on he became the ‘official’ photographer to Wheal Jane, recording all aspects of work there. It is these unique photographs that appear in this book. Written and compiled by John Peck.